They’ve got a plan. Leo and Lizzy Martinez want to be the smartest kids in the world! The children of hardworking immigrants, big brother Leo has convinced his little sis that being smart is the key to helping their family escape a tough, uncertain reality. The first step in the plan—Leo will win the local TV kids’ quiz show. But when their parents refuse to let him join the quiz team, Lizzy learns there’s something deeper driving Leo—something that makes life that much more challenging and unpredictable for her brother and her family. Seeing her brother’s spirit broken, Lizzy is determined to grow up, give up her dreams and rescue the plan to see it through. Along the way, she and Leo discover that it takes more than being serious and “smart” to save a family and one another. 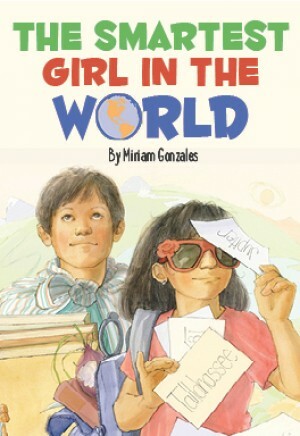 The Smartest Girl in the World takes a look at the bonds of family and the key to facing life’s challenges together.